A long and great day is ahead of us. 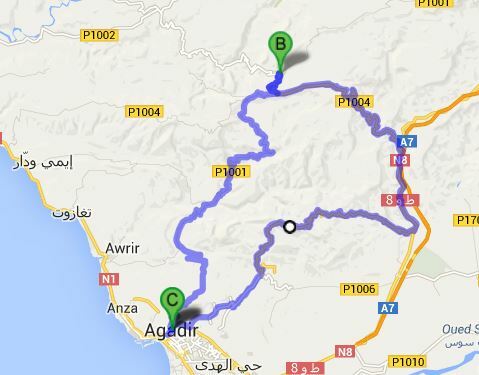 Early in the morning we will start from Agadir heading directly towards the banana village of Aourir. After enjoying some local bananas we are ready to take off to the mountains. Now the perfect TWIKE feeling is awaiting us. A perfect street in a superbe surrounding with almost no traffic is lying in front of us. After 20km we enter Paradies Valley, ready to get some fresh orange juice directly at the “Oasis Beach”. After some more km we reach our lunch Destination. Paradies Valley Central. Our lunch, an unforgettable “Berber” Tarjine is almost ready. After enjoying the natural pools we head on to final Destination Imouzzer where we will stay overnight. 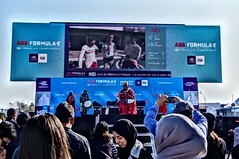 Next day we will head back to Agadir. It is another awesome jouney in this beautiful mountain area. We will finish your great and unique TWIKE experience with fresh herbal tea in the first Ecolodge of South Morocco.